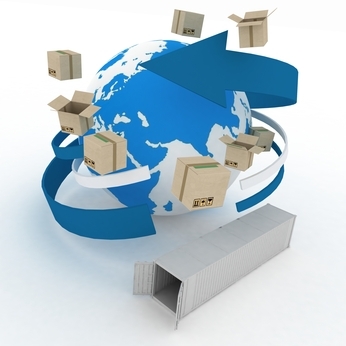 SDC International Shipping offers speedy and reliable international air freight shipping to any city in the world. At SDC International Shipping we are at the ready to answer any questions you may have with this service. Unlike other moving companies, we think of a method to benefit you regardless of the situation. With our air freight services, you won’t experience delays, mishaps or any damages to your belongings. What are the Benefits of Air Freight? There are an abundance of benefits when using international air freight shipping such as its dependability and quick delivery time. Each item remains intact and stays safe on our planes, leaving you worry-free. Your goods will arrive at the new destination within a matter of days and our movers can even transport your valuables to your home. There is no risk of damage with air freight, especially when teaming up with SDC International air freight shipping. All of our movers treat these items like their own and keep all goods completely protected. If your skis or oversized items can not fit in a standard box, we will gladly provide a custom crate so you can still ship your valuables. Give SDC International Shipping a call if you want to move your items with the best air freight shipping. Will My Items Get Lost When Using International Air Freight? When working with our international air freight, you can rest easy knowing your items will not get lost. Everything is well organized, labeled and in order to ensure a perfect delivery. Our company knows the ins and outs of international moving so you will be in good hands during the entire process. In fact, a travel coordinator will go over various insurance forms for extra protection. Why Choose SDC International Shipping?